The Dao of the Golden Light is an original way of Zen meditation (Chan in Chinese). The focus is to find the centre of the mind, the place where all thought originates. Both Buddha Sakyamuni and Padmasambava spoke of the Golden Light that can be found in this area. Meditation at the centre of mind can help to change negative thought patterns, maintain and improve health, and lead to the re-awakening of latent functions, such as healing abilities. Today, the teaching and practice of meditation often omits the fundamental elements of correct body posture and breathing. This is particularly the case when meditation is thought of mainly as a way of relaxation. Wuxi meditation, based upon the original principles of the Dao of the Golden Light, emphasises the need for the correction of body posture and breathing exercises in order to cleanse the internal organs and meridians. 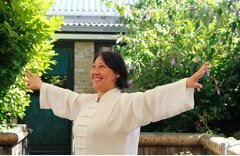 The meditation courses are now taught by Master Shen Jin, the daughter of Dr Shen Hongxun. She begins by teaching these basic principles before guiding students to find the centre of the mind. Finding the centre of mind can bring true stillness and inner peace. It has a balancing effect on the nervous system. It is possible to see the Golden Light, thereby opening the door to spiritual development. 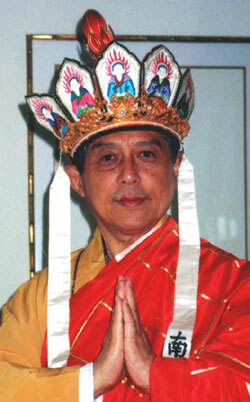 A doctor of western and eastern medicine, Dr. Shen Hongxun practised Tai Chi and meditation for over 50 years. He taught different meditation systems, including Taoist (Longmen Pai), Chinese Buddhist (Chan, Jintu and TianTai) and Tibetan Buddhist meditation. He carried a full lamaic lineage which was passed to him by his teacher Lama FaHai who gave him his spiritual name, Lama FoRe, and the permission to be a teaching Lama. His medical background, coupled with his knowledge of Chinese healing allowed him to approach meditation in a scientific and health-conscious way and thus led to the development of the Wuxi meditation system. 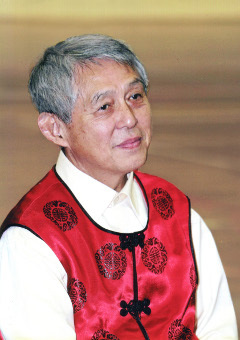 Dr. Shen Hongxun passed away in 2011 and now Master Shen Jin gives yearly Wuxi Meditation courses in Belgium, the UK, the Netherlands and France. Please feel free to contact us for more information on these courses.